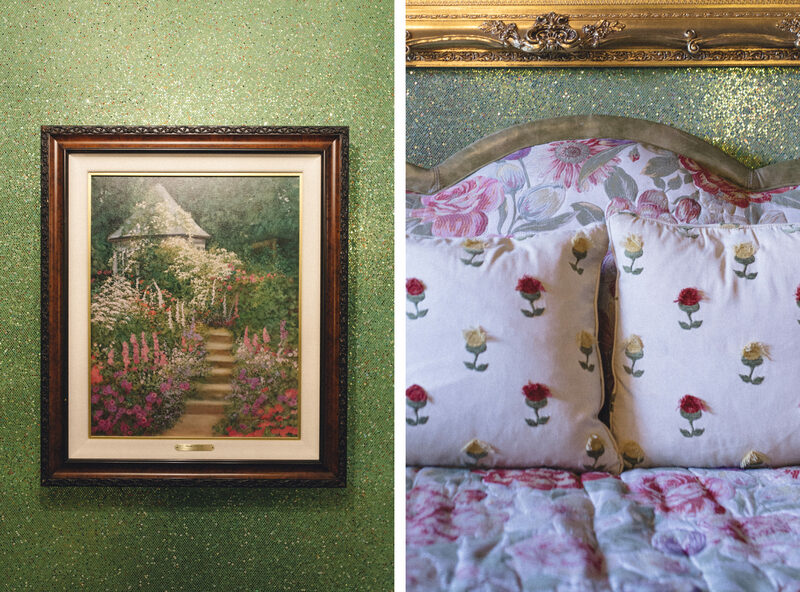 Located off Highway 101 in San Luis Obispo is the Madonna Inn, a kitschy hotel home to 110 themed rooms and suites. Including shops, eateries, event center, swimming pool, and spa, the hotel was a hit with celebrities through the years and now functions primarily as a tourist destination. From the outside, the hotel resembles a mountain chalet. But on the inside, it is a whimsical palace, inspired perhaps by a drug trip as much as an affection for 1980s glam. Famous for its over-the-top decor, elaborate urinals, and idiosyncratic feast-for-the-eyes rooms, each is unique from the other. Originally opened in 1958 by real estate developer and cattle rancher Alex Madonna and his wife Phyllis, the 12-room hotel gained popularity with artistic-minded clientele, until burning down in a 1966 fire. The hotel was rebuilt with a vision for the ostentatious. 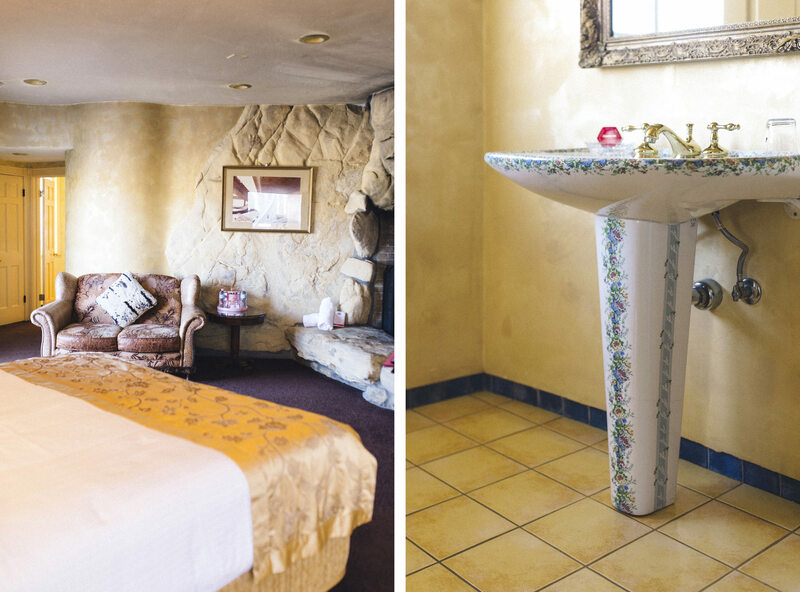 From waterfall showers to carved wood to rock urinals, the Madonna Inn is for those who appreciate thinking (and living) outside the box. 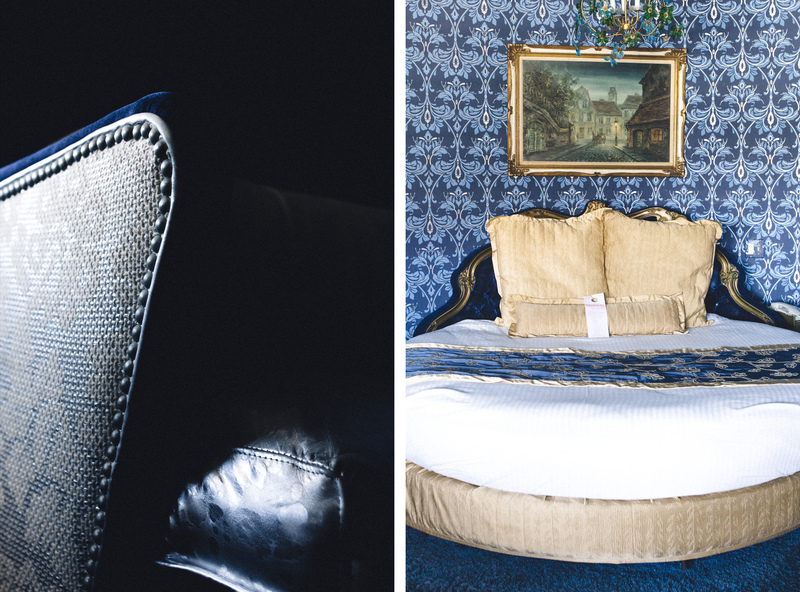 We were privileged to experience a few of the rooms ourselves on a visit down the 101. 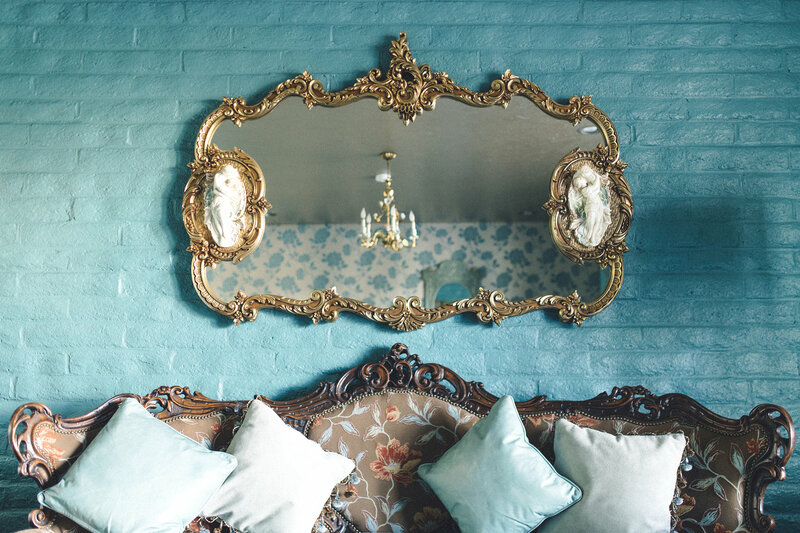 Ren Dez Vouz was a fun way for Mr. and Mrs. Madonna to break up the words into a trio of rooms that had a continuous theme of love and fun in romance. Mrs. Madonna was inspired by the vaulted ceilings, and thought a round bed paired well with the room, complementing the windows and shape. 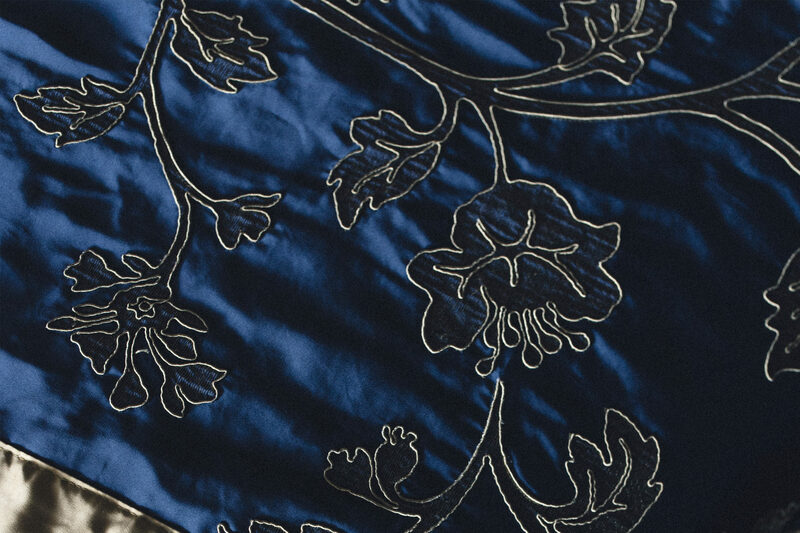 The blue color was selected for its luxurious nature, and tied into the French inspiration of its namesake. Inspired by his love of construction, the Highway Room was fashioned in one of Mr. Madonna’s favorite colors: yellow (like hardhats and backhoes). The plaid highlights were inspired by the trademark plaid shirts he often wore. The rounded walls are inspired by the Highway 166 bridge and various overpasses that Mr. Madonna constructed, while the art is from real construction jobs from the area as well. 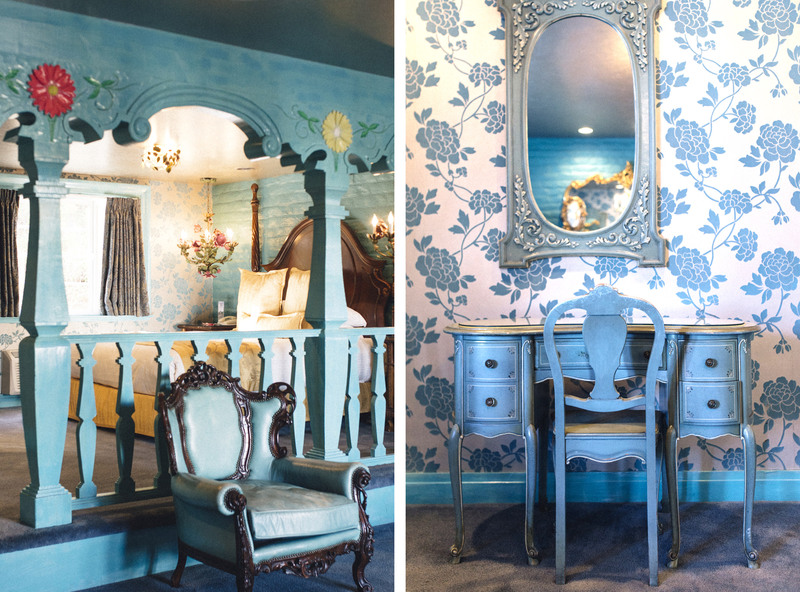 The floral accents in the Romance room are reminiscent of a bouquet of flowers purchased for a lover. 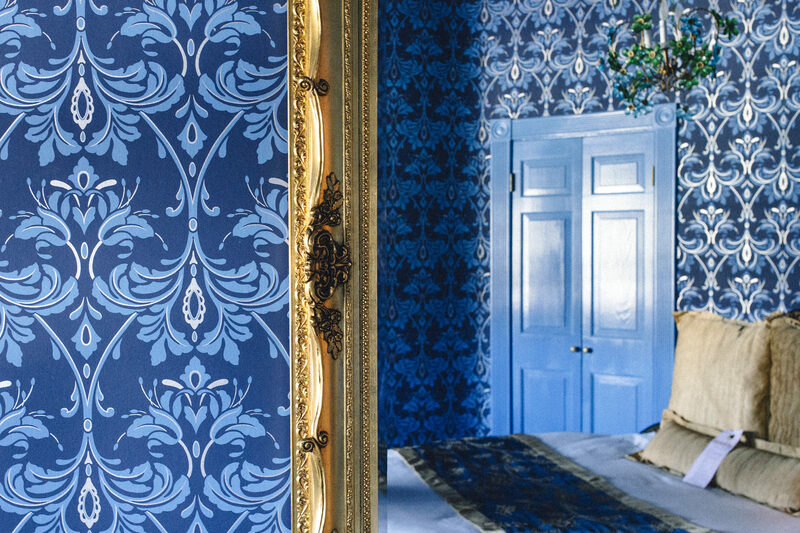 Similarly, the rich blue and silver color scheme was fashioned to provide “the feeling that you get when you’re in love”. Mrs. Madonna personally felt step-up beds with wooden accents are romantic, so, of course, that’s what you’ll find in the Romance room as well. 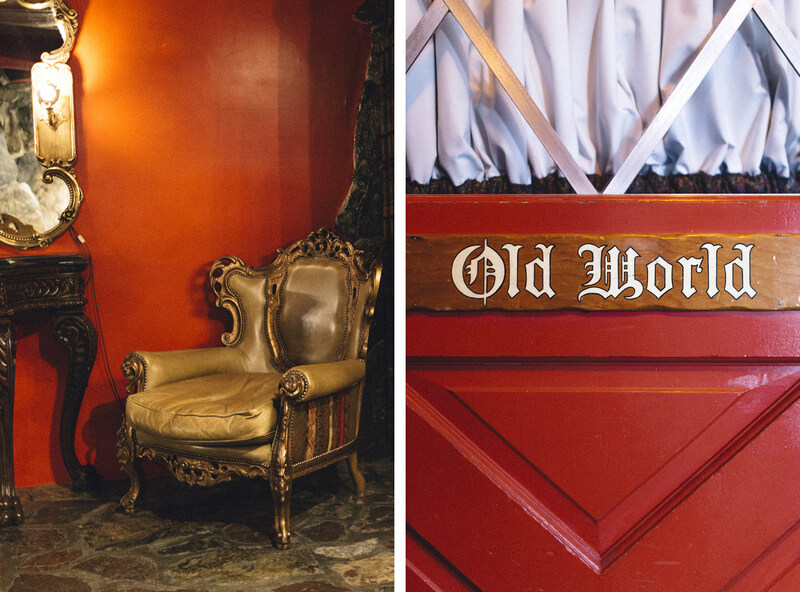 Mrs. Madonna’s favorite room, the Old World room is as unique as they come. With large boulders used to create the fireplace, shower, and floors, the room provides a feeling of living in an old world European grotto. 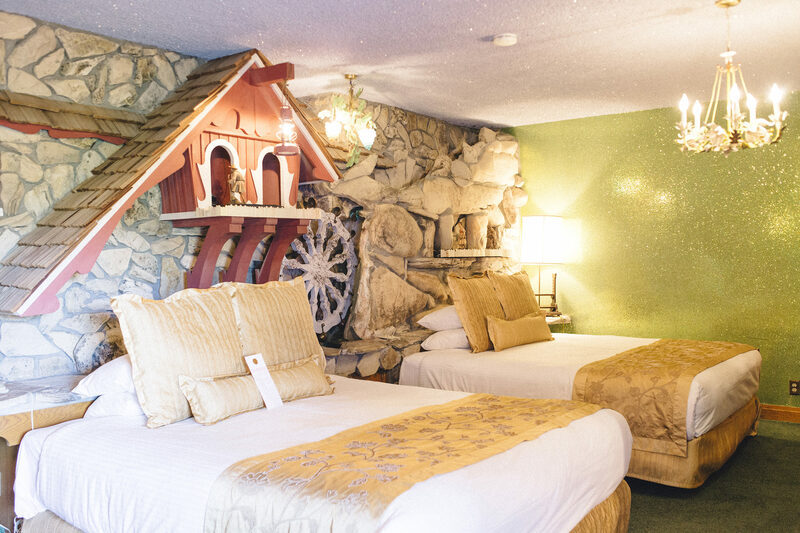 Perfect for staying with children, the Old mill room is inspired by the lumber mill in Oregon that Mr. and Mrs. Madonna owned at one time. Mrs. Madonna hand selected each of the wooden Anri figurines that are in the water wheel and throughout the room.